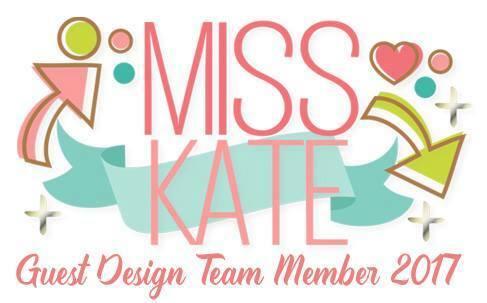 Tag Archive | My Creative Time – Scalloped Stitched Oval Dies. 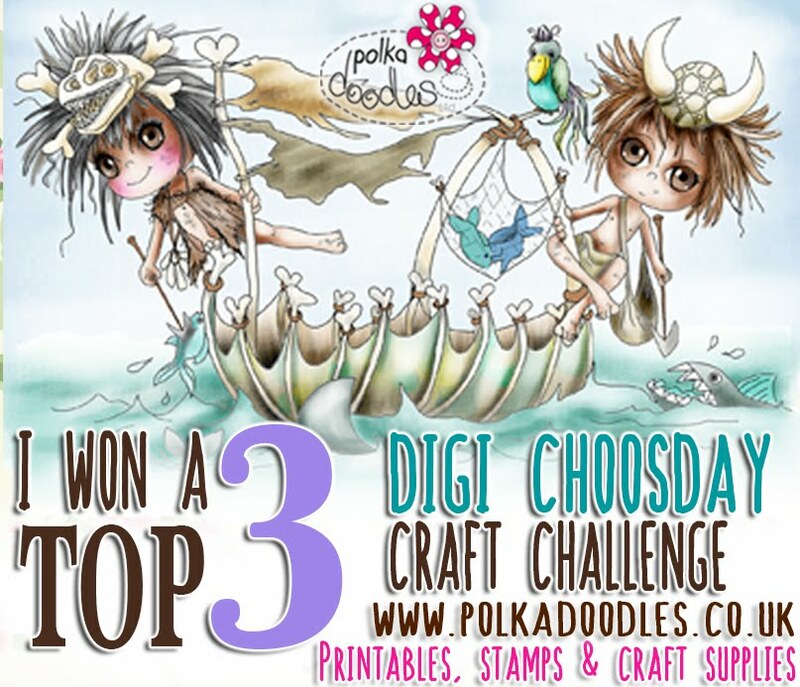 We were challenged by Betty Roberts and Rio Judy Ford to come up with a creation for the SBS Friends – August Progressive Challenge. Below is my creation. 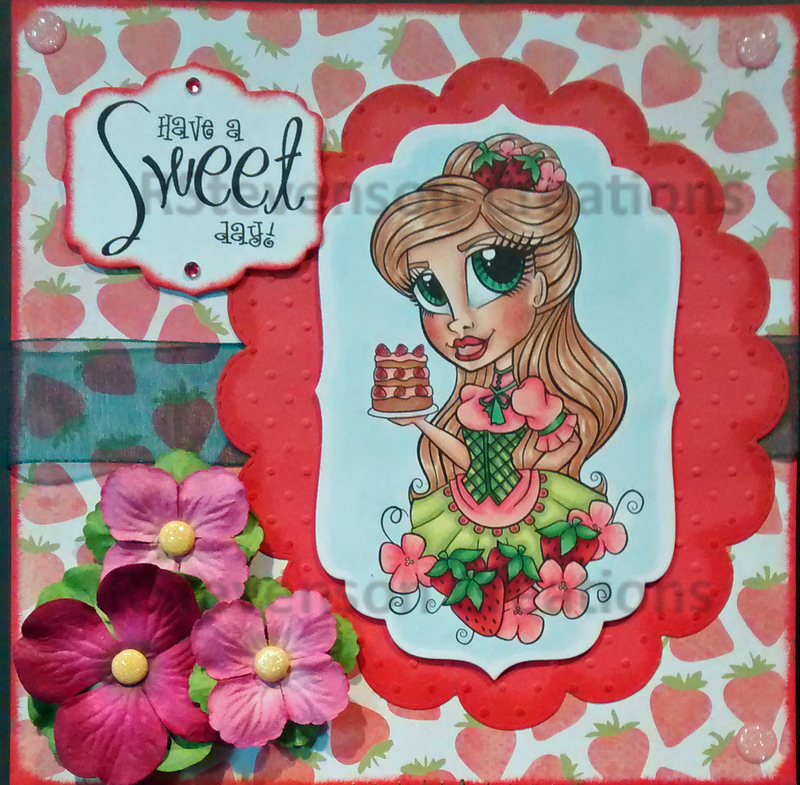 Using digital stamps from Simply Betty – StrawberryRio and StrawberryChantay, I coloured the images in with Copic markers. 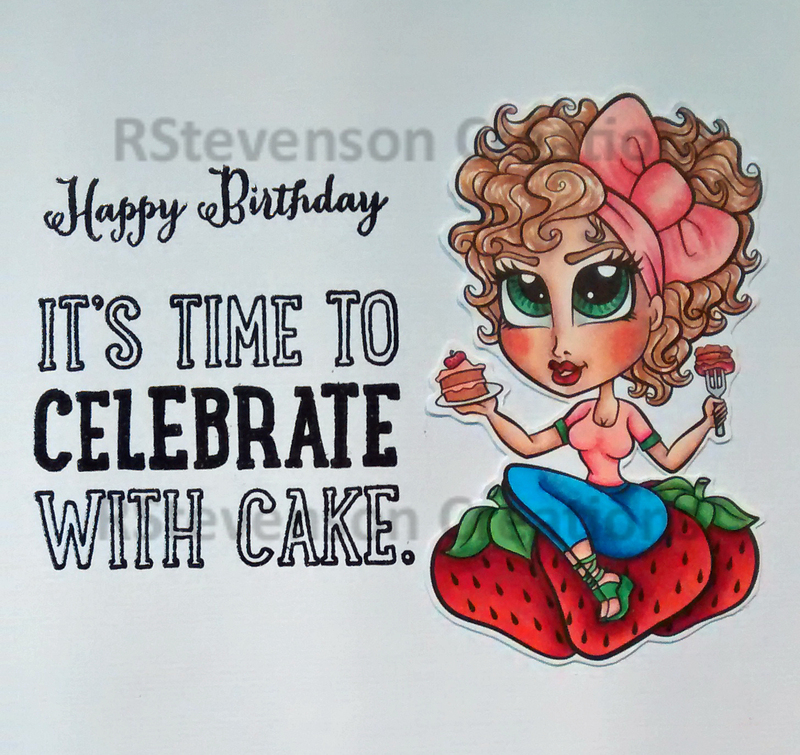 Sentiment on front of card is also from Simply Betty – StrawberryRio. 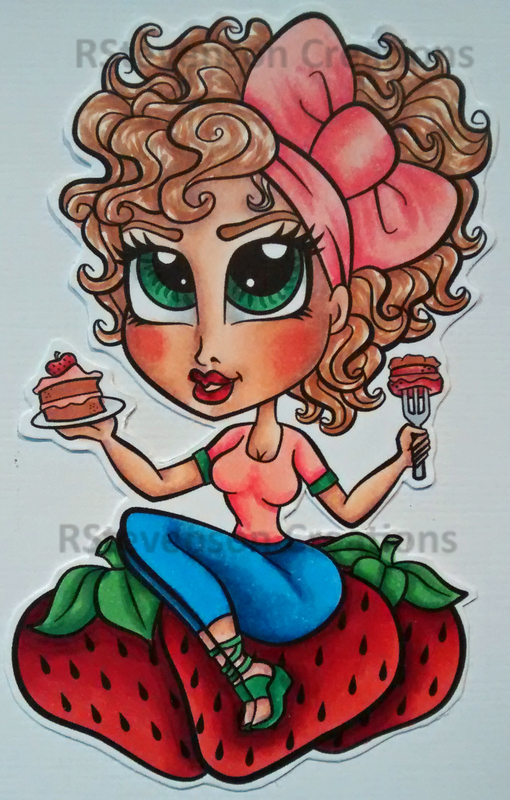 Here is a close-up of StrawberryRio. 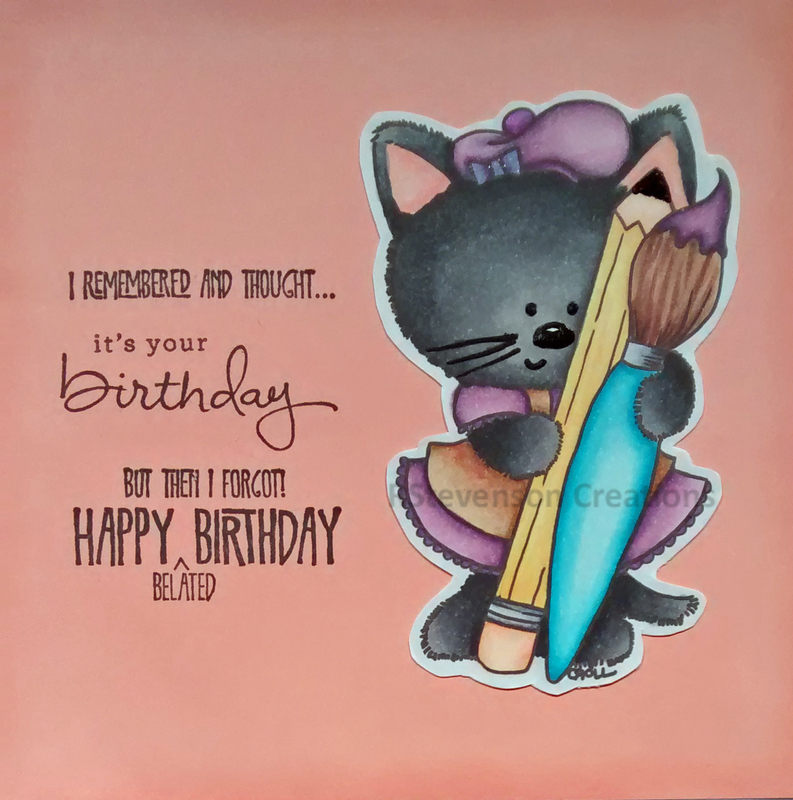 Inside of card: Sentiments stamped using MISTI and Versa Fine – Onyx Black. Then embossed with Ranger – Clear Super Fine Detail embossing powder. 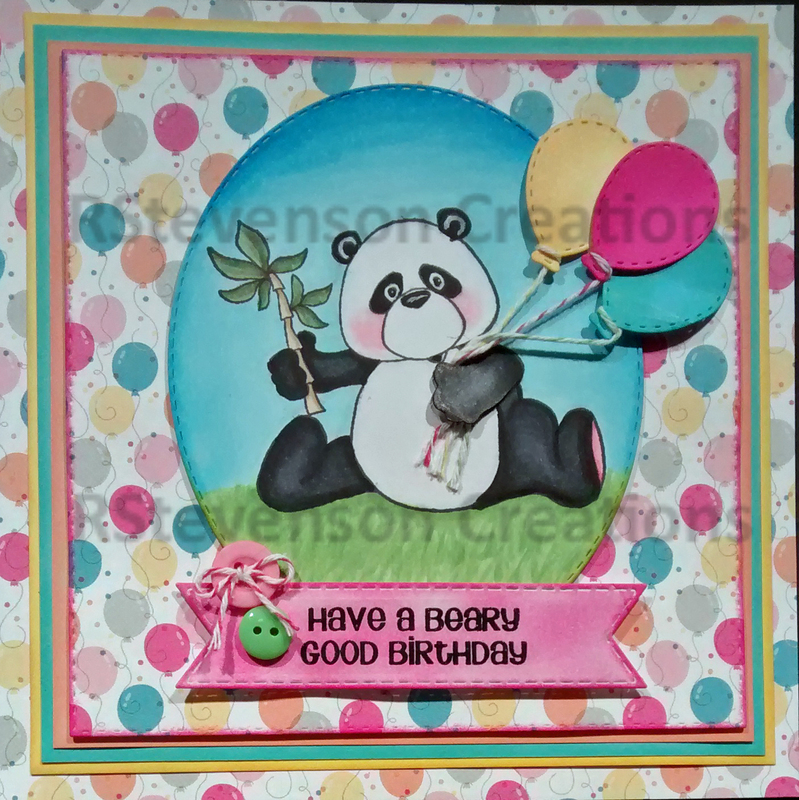 Back to Birthday card that I made for my friend who LOVES Pandas. 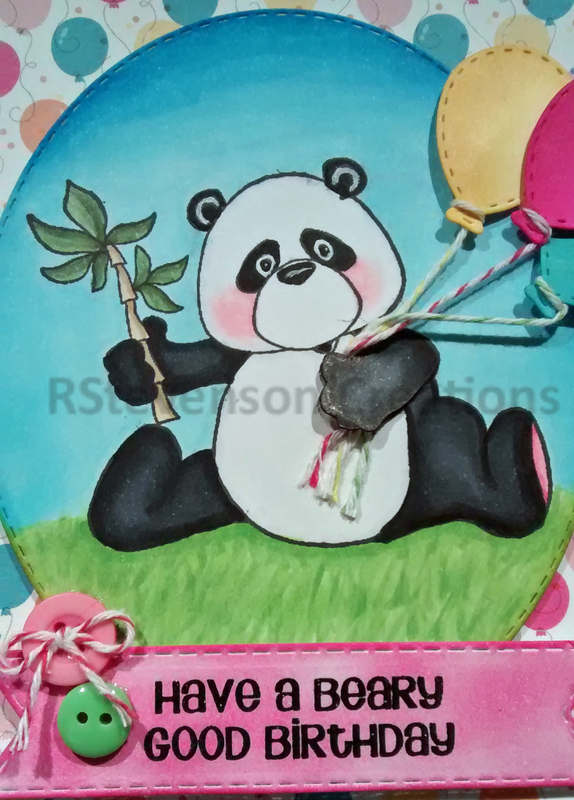 Image: High Hopes – Sitting Pretty Panda – S270. Background Paper – Sugar Shoppe – Doodlebug Design Inc. – 6 x 6 paper pad. 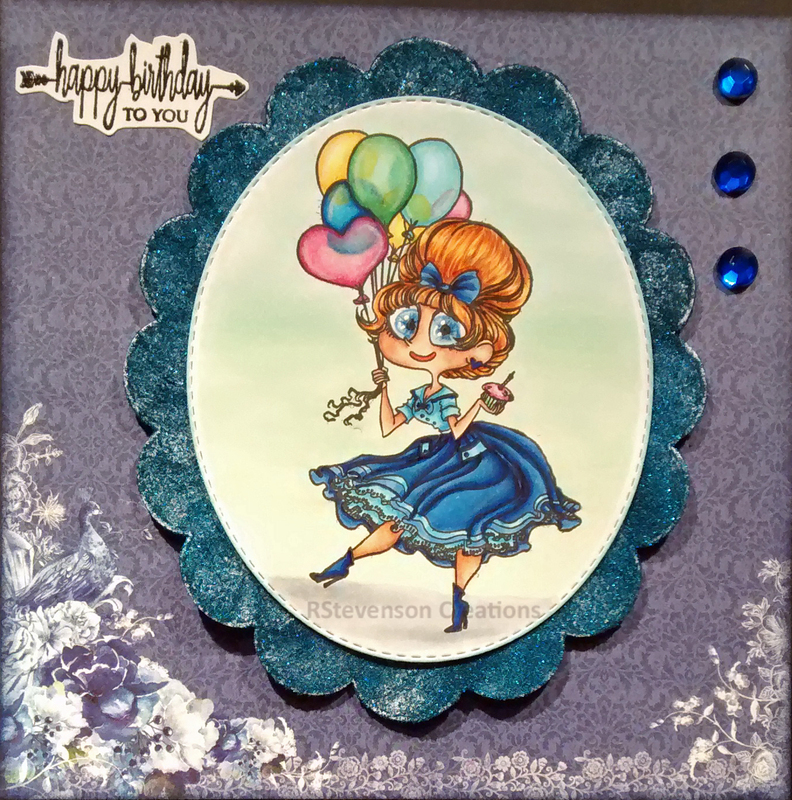 Die Cuts – My Creative Time -Stitched Squares Inside and Out, My Creative Time – Sentiment Label Dies – MCT224, My Creative Time – Scalloped Stitched Oval Dies and for the balloons – Craftin Desert Diva’s Party Dies. 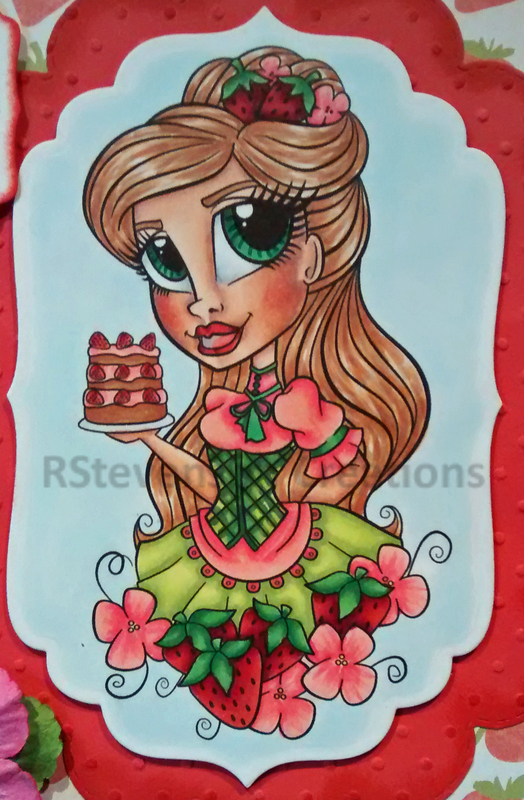 Both images coloured with a mixture of Copic and Spectrum Noir markers. Used Sakura Glaze – Black for the nose, eyes and whiskers. Entered card into High Hopes February Challenge which can be found here: “http://highhopesstamps.blogspot.ca/p/challenges.html&#8221;. 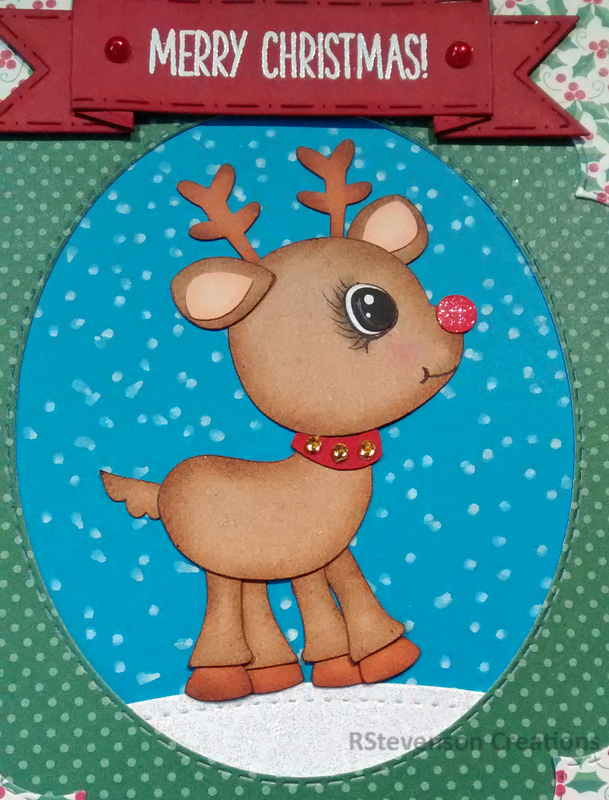 Sharing a card that I made using Too Cute By Jessica – Christmas Animals SVG Cuts designed by Jesssica Owens 2014. 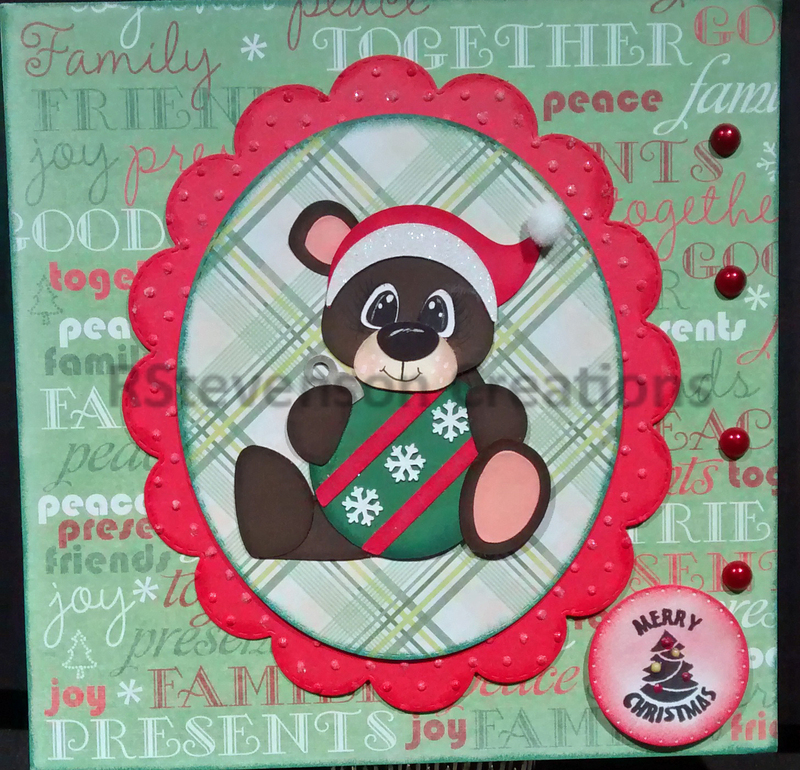 Using my Cricut Explore and Cricut Design Space, I uploaded the images and then cut the pieces out for the little bear. For the eyes, I used Gelly Roll Sakura #8 Pen and General’s Charcoal White 558 Pencil, black chalk for the shadow and Pigma Micron 01 black marker for the eyelashes. The background papers are from lawn fawn – Perfectly Plaid 6 x6 in. (15.2 x 15.2 cm) and Recollections – All Seasons 6 x 6 in. (15.2 x 15.2 cm). 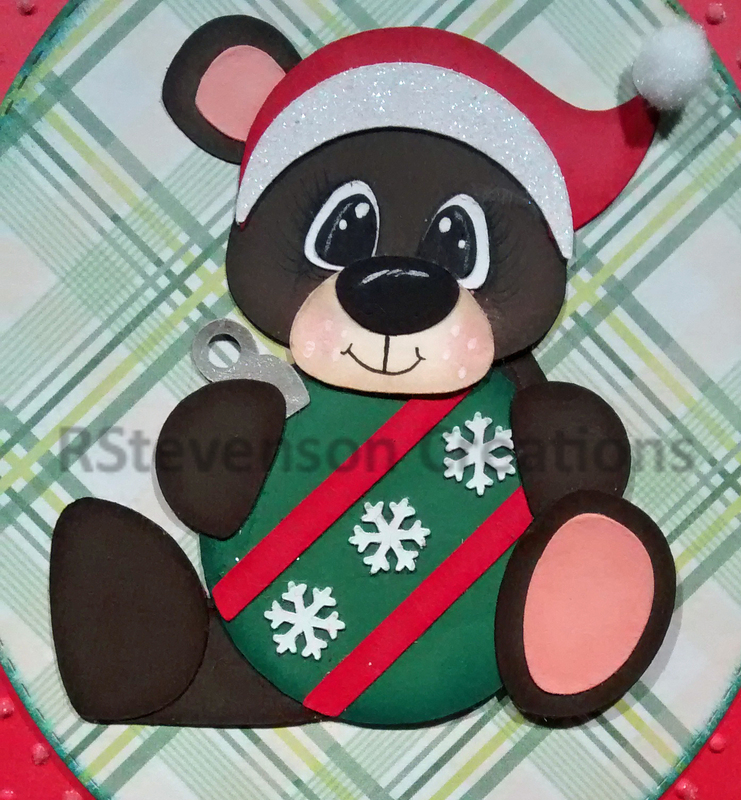 My Creative Time – Scalloped Stitched Oval Dies were used for framing the bear. 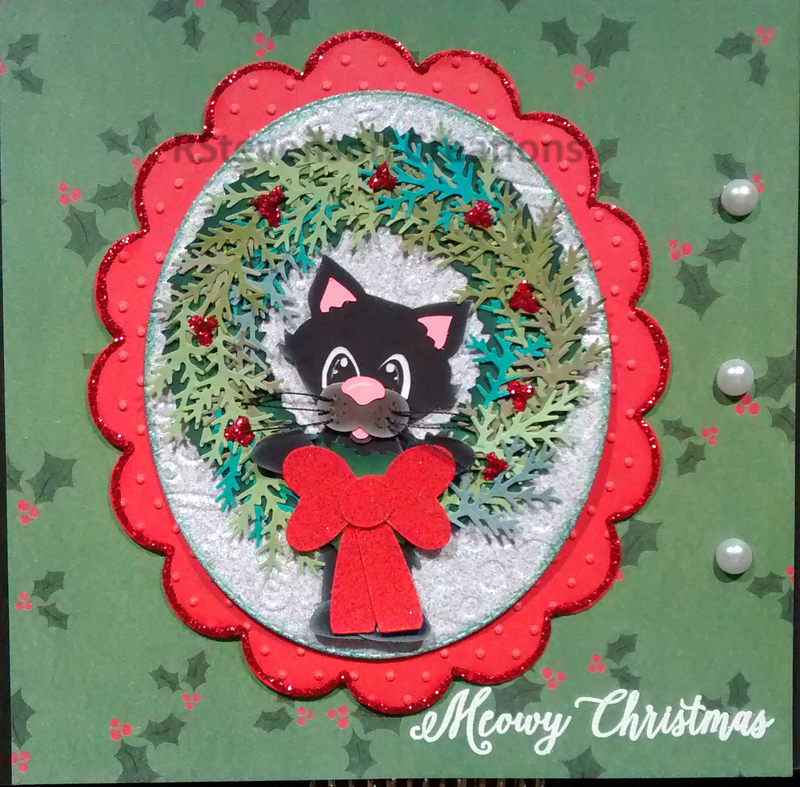 Sharing a card made from Too Cute By Jessica – Christmas Animals SVG Cuts designed by Jesssica Owens 2014. 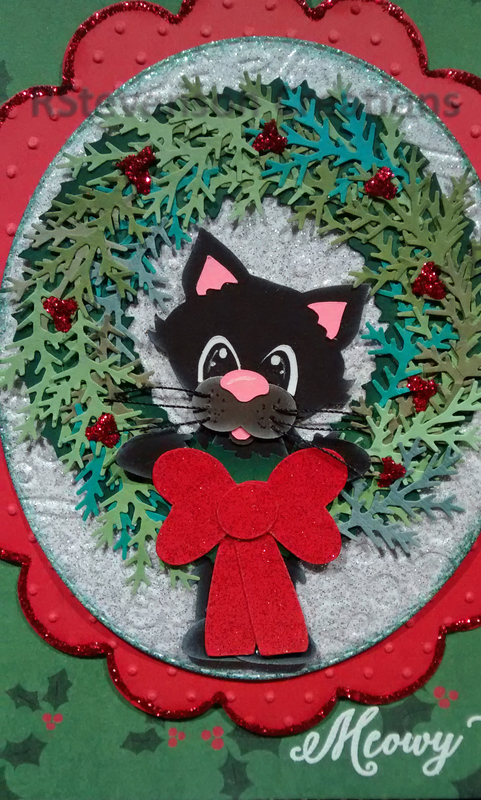 Using my Cricut Explore and Cricut Design Space, I uploaded the images and then cut the pieces out for the cat and wreath. I decided to add some layers to the wreath using Martha Stuart branch punch and then adding some Xmas Red stickles to make some holly. 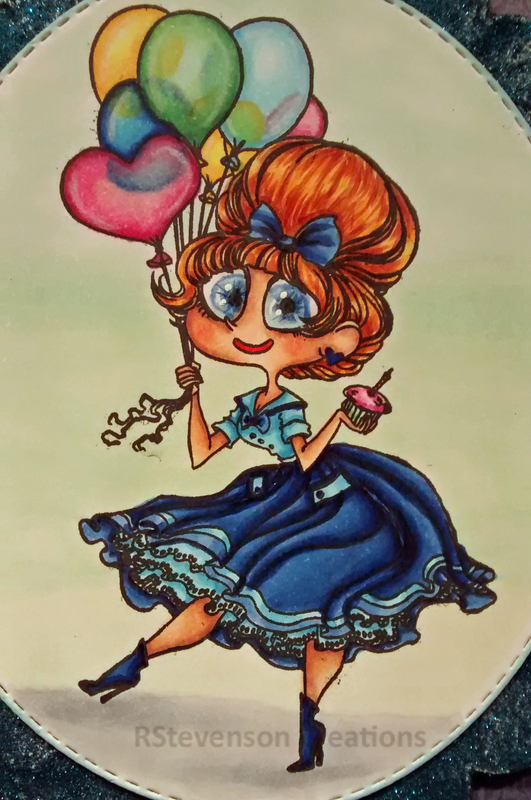 For the eyes, I used Gelly Roll Sakura #8 Pen. I drew in some eyelashes with Pigma Micron 01 black marker, but you can’t really see them. Thought it would be a cool idea to use black thread for the whiskers to show up. Sentiment was stamped with VersaMark ink and heat embossed with Ranger Embossing Powder White – Extra Fine Detail. 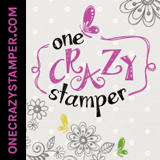 Stamp used is from Jaded Blossom Stamps – Meow and Forever. 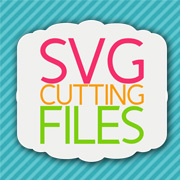 Die cuts are from My Creative Time – Scalloped Stitched Oval Dies. Embossing folder used – Swiss Dots was then used on the scalloped die cut and on oval – Christmas Ornaments on Recollections – Christmas Inkjet Printable Glitter Paper – 8.5 x 11″. Background paper is from American Crafts – Holiday – 6 x 6″ (15.2 x 15.2 cm) paper pack. 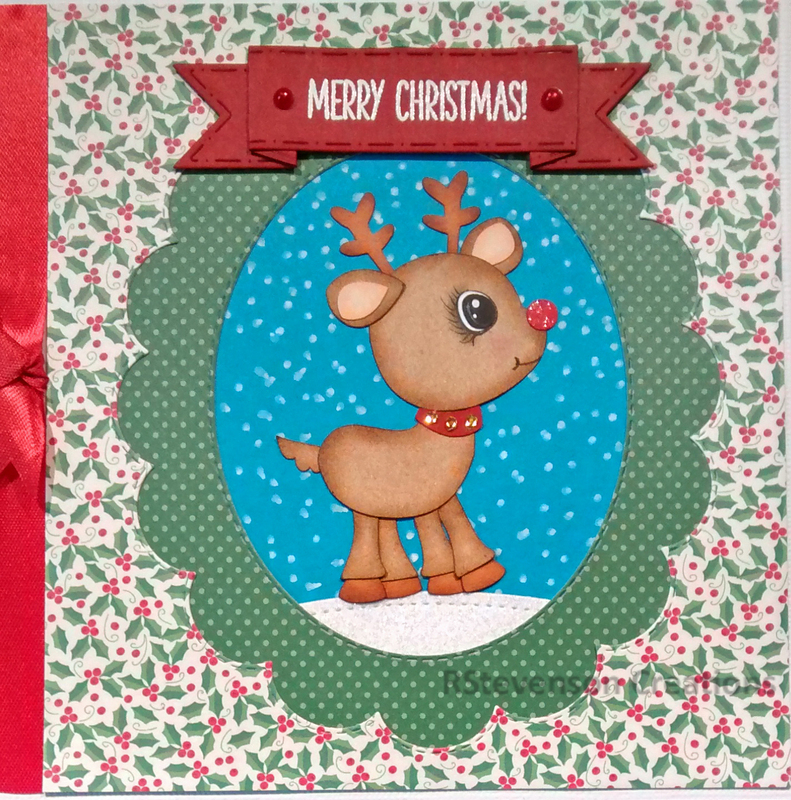 Sharing a couple of cards made from Too Cute By Jessica – Christmas Animals SVG Cuts designed by Jesssica Owens 2014. Using my Cricut Explore and Cricut Design Space, I uploaded the images and then cut the pieces out for the little animals. For the eyes on both cards, I used Gelly Roll Sakura #8 Pen and General’s Charcoal White 558 Pencil, black chalk for the shadow and Pigma Micron 01 black marker for the eyelashes. For the background snow, I used White Permanent Chalk Marker on blue cardstock. The background papers are from Pebbles – Home for Christmas paper pad – 36 papers- 6 x 6 in (15.2 x 15.2 cm). My Creative Time – Scalloped Stitched Oval Dies were used for framing the deer. For the mound of snow I used Recollections – Christmas Inkjet Printable Glitter Paper – 8.5 x 11″ and Lawn Cuts – Simple Stitched Hillside Borders – Lawn Fawn. 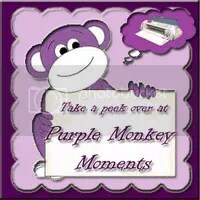 Sentiment – My Creative Time – Prehistoric Holidays Stamp Set. 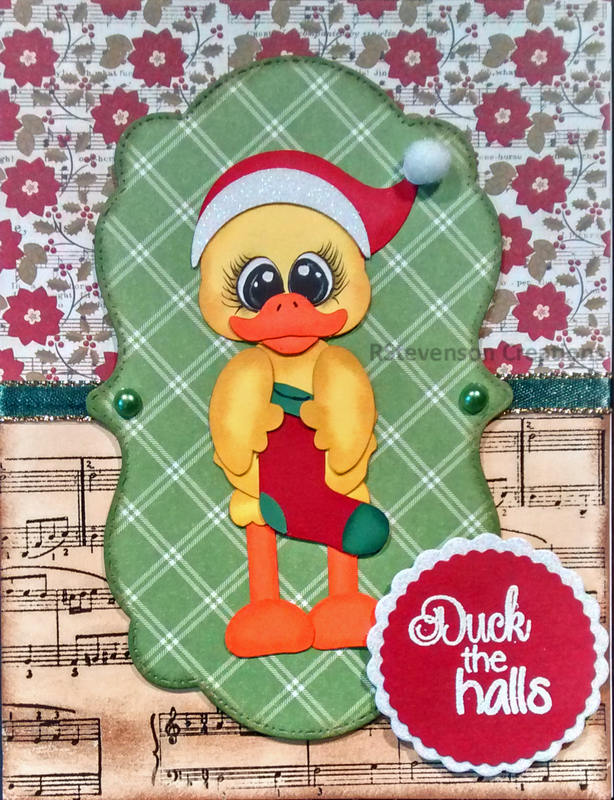 Using the same die cut set, I also made this cute little duck card. For the music background paper, I stamped the musical notes with Recollections – Capturing Special Memories wooden stamp, Versa Fine – Onyx Black and Ranger – Clear Super Fine Detail embossing powder. Then I inked up the paper with Tim Holtz Distress Ink – Vintage Photo. 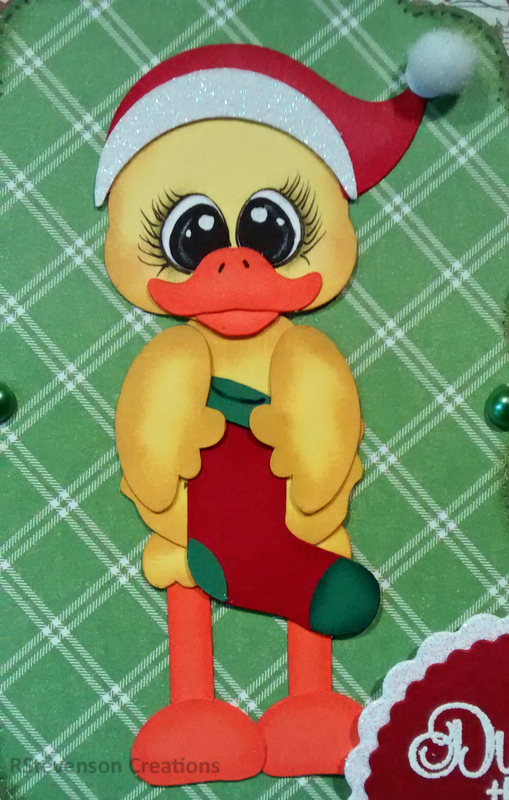 The patterned paper behind the duck is from American Crafts – “Holiday” 6″ x 6″ (15.2 x 15.2 cm). The patterned paper above the musical notes is from Heidi Swapp – HS01073 – 6″ x 6″ (15.2 x 15.2 cm). Sentiment – Craftin Desert Divas’s – Holly Day Punnies – VersaMark ink and Ranger Embossing Powder White – Extra Fine Detail. 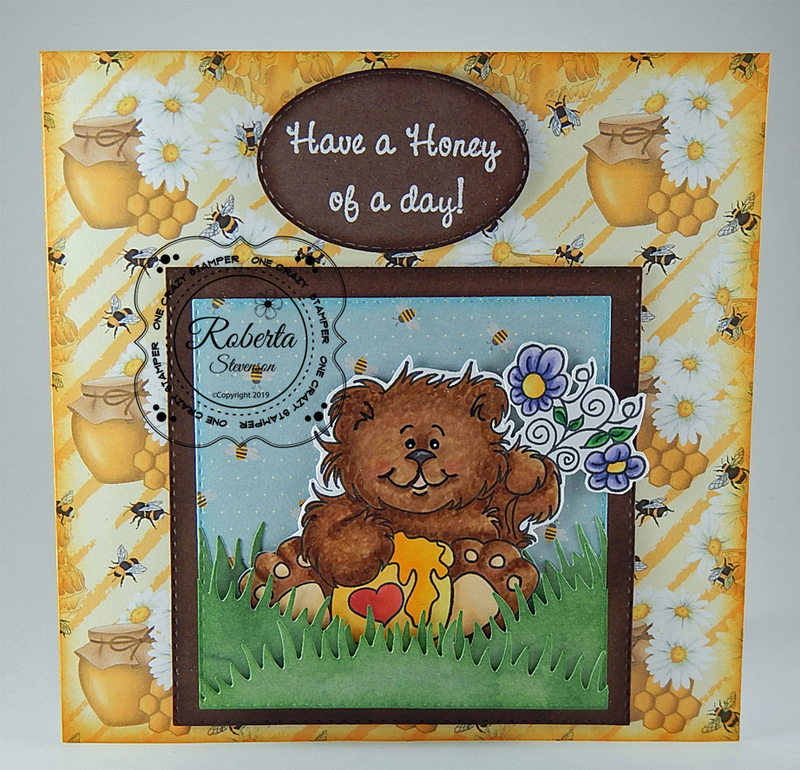 Die Cuts used – Craftin Desert Diva’s – Fancy Stitched Label Dies.